Enjoy the striking appearance of each piece in our selection of fine Celtic anklets. Many of our anklets complement our other Celtic jewelry to help you complete your look with Irish elegance. Browse through our Claddagh anklets, shamrock anklets, triquetra anklets, and other Celtic knot anklets to find the perfect Celtic ankle bracelet design to suit your taste. Crafted from fine metals like white bronze and sterling silver, our Celtic anklets possess a bright gleam that makes each one a work of art. These beautiful anklets make excellent personal accessories or gifts for loved ones. The Claddagh is often given with sentiments of love, friendship, and loyalty, as symbolized by the crowned heart held by hands. 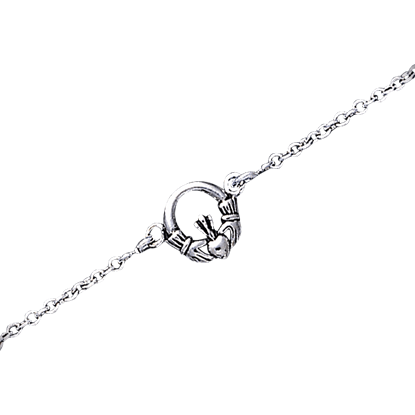 The Celtic Claddagh Anklet displays a circular Claddagh on the thin chain that wraps your ankle. A quaternary or four point knot is said to represent concepts of four, such as the cardinal directions or the seasons of the year. The Celtic Quaternary Knot Anklet depicts an elegant four point knot on a thin chain. The triquetra or trinity knot speaks of concepts in groups of three, such as past, present, and future. 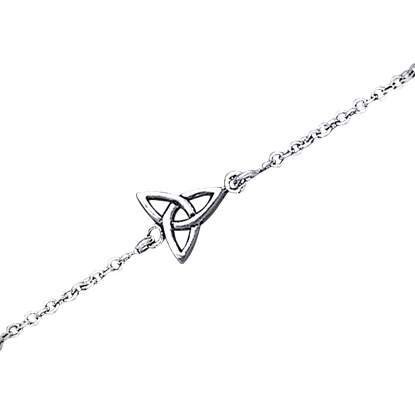 The Celtic Triquetra Knot Anklet displays this symmetrical threefold knot along a thin chain that loops your ankle. One of the most iconic symbols of Ireland, the shamrock appears as a young sprig of clover, most often with three leaves. 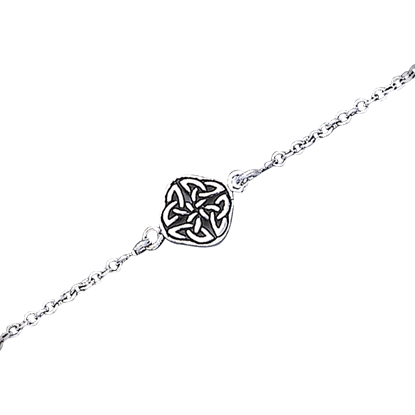 The White Bronze Shamrock Anklet displays a delightful clover decoration as the focal detail.